You are here: Home / Emerging trends & STEM / Youth Ask Award Shows: Who’s Calling The Shots? Feb. 26, 2011 Last Sunday in the New York Times, a full page paid “open letter” from 20-year music industry veteran Steve Stoute lambasted the gaming of the Grammys with full tilt incredulity for the “What was that all about?” outcome we witnessed last week, with almost ‘canned’ performances as the teens with me stated wryly, “You can tell who’s gonna win by who’s performing on stage, am I right?” Well, as it turns out, not really. But sorta. Just like the Oscars tomorrow, it DOES beg the ultimate question, “who decides who wins, who IS “The Academy, how do The Grammy Awards work” and how does this whole colleagues-n-critics as taste-makers bit shake out fiscally? How do youth perceive and interpret justice when iconic purveyors of pop culture take the stage to “represent” only to be “dissed” in the final tally? What’s their motivation to tune if they feel outcomes have already been decided by ‘old people who don’t get it’ and how will that vocal youth “outrage” impact advertising dollars sponsoring the show ‘targeting’ that youth appeal? The staid representation of the 1957-founded Grammys depicted by a gramophone says a lot considering the object itself is one kids wouldn’t recognize and even adults associate more with the RCA dog logo versus Emile Berliner. Actually, that’s part of what Stoute’s $40,000 spout was about. 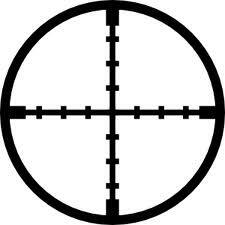 When you FEEL you’re being targeted there’s an uncomfy crosshairs moment that makes you want to go to commercial (or a biffy break) just to prove you’re NOT ‘the one they’re aiming for,’ and to get that laser beam off the forehead, ya know? It even started to land on ME sideways that so many of the faces being trotted out were ‘safe bets’ to the point where you could almost hear the “puuuuuhlease don’t pull a Kanye” exhales from advertisers when anyone from our more coarse, crass, in your face pop culture exited the stage without incident. That’s not seamless. That’s disruptive. It’s like the difference between product placement that screams at you like the send-ups in Morgan Spurlock’s new film The Greatest Movie Ever Sold and product placement that unobtrusively weaves into the plotline. When I read commentary on an indie music site and found myself head-bobbing and virtually fist-bumping this guy “neumann103” who praised New Artist winner Esperanza Spaulding while noting the vapid boppability of some of the pop confections, I knew I had to turn over Shaping Youth to a younger GenY/Millennial guest writer today. I admit, I did NOT know who Esperanza Spaulding was, but once I Googled, listened, and learned, I couldn’t help but think ‘okay, ‘Beliebers’ you’ll just have to deal this lady’s definitely got the goods. But since we’re not here to do reviews or pass judgment on musical tastes, but rather to deconstruct who’s behind the curtain of Oz at the various award shows and how the media and marketing of pop culture is landing on kids, please welcome Margaret Lucas our newest Gen Y/Millennial correspondent, recipient of the 2010 inaugural MTV Youth award and finalist in the Ypulse GennY Social Marketing competition, to give her opinion on the ‘whaaa?’ moments that permeated the social media sphere in real time last week…and what that means for credibility in the youth sphere. Over the last year, award shows have been plagued by some seriously bad behavior. At the 2010 MTV Video Music Awards (VMAs) Kanye West made the whole world go “WTF” as he stormed the stage during Taylor Swift’s Best Female Video acceptance speech, and host Ricky Gervais went down in history as the worst heckler ever with his line-crossing roasts at the 2011 Golden Globes. Perhaps fearing a repeat these WTF moments and in an effort to maintain their even temperament, the 53rd Annual Grammy Award producers thought it would be best to sanitize the ceremony and take a more youth, if not family-friendly, direction in its winner selections, its snubs and live performances. Why else would Cee Lo Green perform a duet of the Song Otherwise Known as “Forget You” (actually titled F*ck You) with Gwyneth Paltrow and a chorus of Muppets, if not to scream “family friendly”! Twelve year old Jaden Smith also brought the house down with Justin Bieber. Lady Gaga ditched the custom-made Giorgio Armani Prive gown she sported at the 2010 Grammys and opted for a relatively tame latex condom-inspired outfit, complete with egg chariot and a performance reminiscent of 1980s Madonna. Other live performances were fairly subdued ways of keeping baby boomers engaged with artists like Sir Mick Jagger and tributes to Aretha Franklin, or ballad-heavy slow jams. The Grammy winners (and losers) also illuminated the shift towards a more “youth-friendly” awards show. “I think it’s fair to say we’re accurately reflecting the current ‘youth revolution’ in pop,” said Neil Portnow, the president and CEO of the Recording Academy. You have to wonder how true that statement is when artists like Justin Bieber, Drake and Katy Perry are all dissed in their nominated categories. These snubs were so major that Steve Stoute, Hip-Hop mogul and advertising executive, called out the Grammys for “clearly [losing] touch with contemporary popular culture “ and snubbing artists like Eminem and Justin Bieber, whose music undeniably “shaped, influenced and defined the voice of a generation.” Ultimately no one really knows what the National Academy of Recording Arts and Sciences voting criteria is for determining which artist wins in each category and if they base award recipients on popularity or talent. 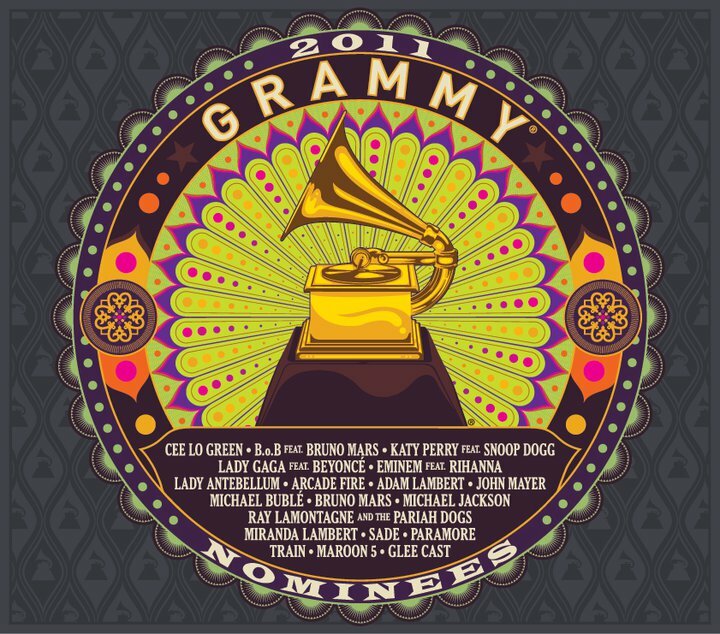 It is also important to remember that the Grammys do not represent a full spectrum of music though there was more of an emphasis on Indie artists like Florence + the Machine and Arcade Fire, who won Album of the Year. Perhaps the ‘youth revolution’ Neil Portnow speaks of has nothing to do with pop and is the rising trend and movement happening in youth culture as teens and tweens increasingly move away from artists and manufactured personas backed by major labels and millions of dollars in advertising and opt for authentic, underground, independent artists that have flourished across multiple albums via alternative channels like YouTube, Pandora, blogs and social media. The biggest sign we are on the cusp of a new era of independent music is the winner of the highly coveted “Best New Artist” category, Jazz singer and bassist, Esperanza Spalding. The largely unknown composer and multi-instrumentalist, loved by Stevie Wonder, Prince and Herbie Hancock, was invited to play at the 2009 Nobel Peace Prize Ceremonies by President Obama and is definitely an up-and-coming artist worthy of becoming a household name and a star any parent would want their kids to support with album sales. She is also a safe candidate for the Grammy podium as many rap and pop artists come with controversial lyrics and live performances. It’s unclear if she is the most compelling candidate to usher in the era of independent music as she lacks the edge to compete, but perhaps her destiny is not to go head to head with pop stars but to find success with her authenticity and her appeal to smaller sections of large demographics. 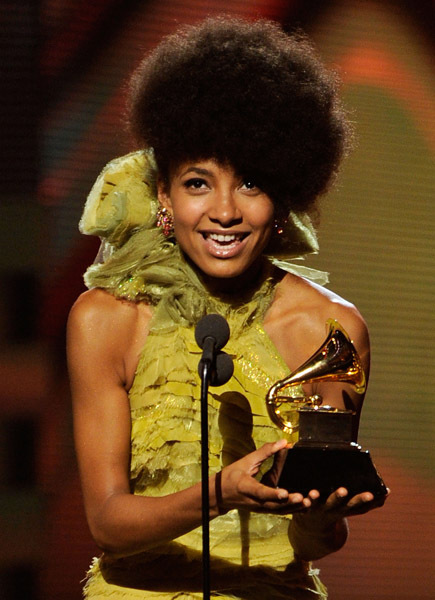 Still, the love shown to Indie artists and unknowns like Esperanza Spalding has prompted speculation that the Grammys are actually beginning to move away from the mainstream in an attempt to match and reflect this underground trend. All of this is cause to wonder if the Grammys’ attempt to make its program more youth friendly both in content and talent has caused them to alienate the contemporary contenders in music that would be the primary draw for audiences. This year the new youth-friendly direction wasn’t a problem as 26.66 million people tuned in to the Grammy Awards (a 3% increase from last year), with a 9.1 rating in the 18-34 demographic but if the unknowns continue to rule the awards and there are fewer and fewer WTF moments, what’s the point of tuning in for youth? 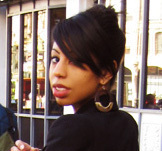 Margaret Lucas is a 26-year old blogger specializing in the dissection of race, sexuality, LGBTQ and the proliferation of geek chic in youth media and pop culture. She started blogging in 1998 on Live Journal and has continued through college and her career as a nonprofit marketing and social media manager. With a BA in Psychology and an emphasis on Social Justice and Human Sexuality, she’s presented at the American Psychological Association, toured San Quentin Prison, and lived in San Francisco her entire life, fueling her fire to examine ways media and digital communications can promote social change for young people. My OWN personal desire is for the recording artists themselves to self-rein and switch the station to a more positive channel of influence by giving the powers that be (money machines) some MAJOR high frequency static to dial down the volume to a decibel level that transcends the shock schlock ‘what sells at any cost’ level of damage. 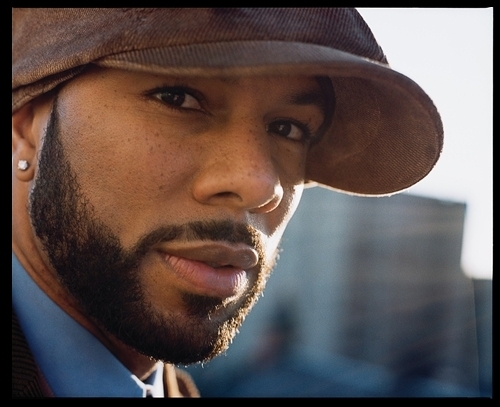 Frankly, I’d love to see more positive hip-hop music artists like Common (at left) lead the way in creating a sort of Socratic oath to ‘do no harm,’ and get back to the roots of self-expression and talent over formulaic approaches churned out by executives pushing artists to make the register go ka-ching while kids’ psyches go ka-boom pumping out negative misogynistic mind pollution. 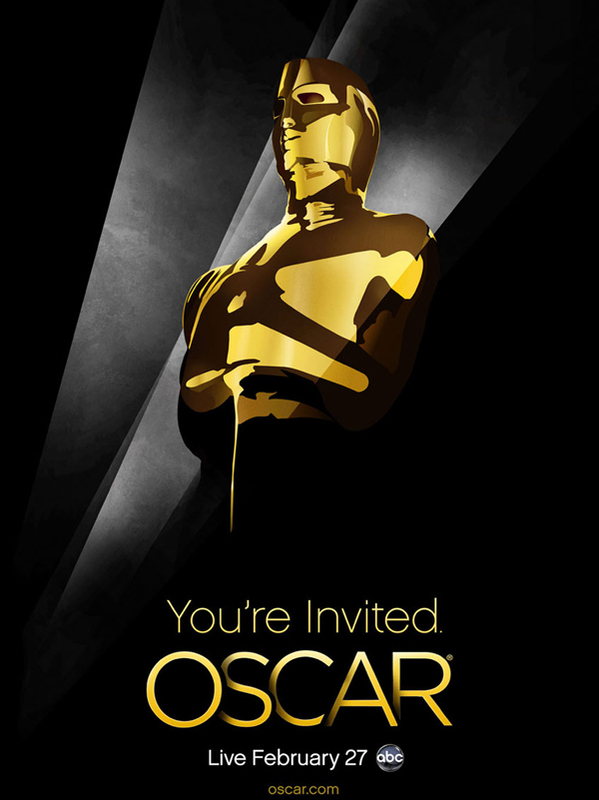 There’s LOTS of chatter about how The Oscars are shifting to “the next generation” with a decidedly youthful look, approach and appeal this year too, with “all-access” passes, interactive experiences, behind the scenes cameras with social media underpinnings and more. Meanwhile, keep a watchful eye on the Oscars asking those key media literacy questions and turning them into teachable moments of critical thinking. Who’s calling the shots? How do they pick the winners? Check out Oscars.org to “meet the Academy” and find out who gets invited into the Academy of over 6000 film professionals and why. Get an overview of How the Oscars Work in short form. Delve a bit deeper with media literacy and check out the trade press at this site: Awards Daily with special note of the sidebar industry biggies along and a great overview snapshot of “For Your Consideration” Oscar Ads lobbed into the mix…I think of it as a FREE media literacy deconstruction tool to open up conversations with students and dig underneath the surface. More? Media Awareness Network’s Analyzing Oscar, Deconstructing the Academy Awards And their free lesson plan (5pp pdf) on deconstructing movie ads is a great way to engage kids and amp up their critical thinking skills at the same time. Never knew the red carpet could be so educational, eh? Enjoy. I don’t understand why so many people are so fascinated with Bieber. Can someone explain what’s going on? Just marketing? I don’t understand, really. Madonna is great artists. I don’t understand people who try to compare Madonna with Lady Gaga. This is big misunderstanding, Lady Gaga has to work a lot more to prove that she’s a half of what Madonna is. Totally different levels, that’s it.